A very popular sermon given in many churches is, “The Counterfeit Sermon”, where the clergy discourages his flock from studying anything pagan, satanic, or anything to do with witchcraft. He will use these words interchangeably, even though they all mean quite different things. He will explain that our Treasury Department teaches bank clerks to recognize counterfeit currency by studying the real thing. Learning real money’s touch, smell and visual properties so they will know when something is not right. So the clergyman tells his listeners that all they need is to understand is their Bibles and the tenets of Christianity and they will know when something is not true. Which is fine if your teacher of Christianity knows what is pagan. You see the Treasury Department doesn’t study real money. They don’t have to. They designed it. They study the counterfeits so they can figure out how it was made, what equipment was used, what ink, and what paper. 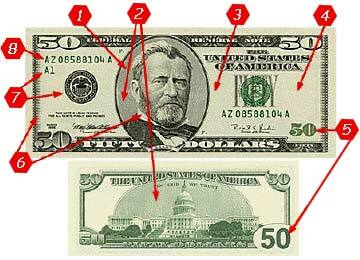 They may even recreate the process so the next time they will be able to catch the counterfeiters sooner. Then they will also be able to come up with a new feature that can not be so easily copied. Too many of the clergy are not being as diligent as the Treasury Department. They do not know the counterfeits so they cannot teach you what to really look for. There are only two kinds of religions known to all cultures. 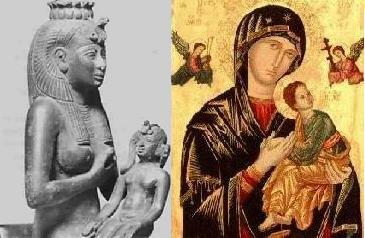 Polytheism and Monotheism. In most polytheistic systems there remains a memory of a single creator god. This is what Paul was addressing in Athens. So Paul, standing in the middle of the Are-opagus, said: “Men of Athens, I perceive that in every way you are very religious. For as I passed along, and observed the objects of your worship, I found also an altar with this inscription, ‘To an unknown god.’ What therefore you worship as unknown, this I proclaim to you. Acts 17:22-23. Notwithstanding, in most monotheistic systems there is some corruptions into polytheism. Leaving those who practice this as a kind of unacknowledged henotheist. We see this in Ezekiel where they were weeping for Tammuz. All polytheism is the same, unless something totally traumatic has happened to the culture in question giving the people some reason to completely change their thinking, e.g. Elizabeth Elliot’s work with the Huaorani Indians. They totally reject what came before, and never pass on to their children the former cultural information. That is the only way a culture leaves these myths behind. All others are the same wherever you go. The names may change, the places may have been localized, details may be added or deleted, but the essentials remain. Polytheism has god’s you can bribe and a priest who will charge you money to do it. Next come the personified heavenly bodies, i.e. the sun, moon, planets, and sometime stars. Solstices and equinoxes are all important. The moon’s light is not just a natural phenomenon but something to be worshipped. The planet’s positions control your life and tell you whether the gods are pleased or not. The constellations predict your future, especially those that make up the zodiac. After them come the heroes: for example, Hercules, Bacchus, the stars and constellations etc, and natural forces: the winds, the tides, spring, summer, autumn, and winter etc. These lesser gods often do the biding of the more powerful gods and sometimes they rebel, exposing the injustices of the others. Finally lowest in the order are the localized deities which are usually attached to some person, place, or thing, e.g. towns, bakers, carpenters, rivers, mountains, trees, wells, springs etc. Over the passage of time they may have been twisted, folded or spindled in the retelling. One culture may emphasize one story or concept over the others. The mother goddess may be all important in one place, while the war god or goddess might be used to explain all things in another. But they remain essentially the same, a retelling of the first 11 chapters of Genesis. But as pagans, the good guys become the bad guys, and the bad guys are the good guys. So Nimrod is the hero and Noah’s son Shem is the bad guy. There is always some telling of how things came into being. Sometime this may be the whole cosmos and sometimes it may only be a particular people in a particular place. This is usually the work of the father sky god and mother earth goddess, but not always. Sometimes there is an acknowledgment of the one creator god and sometimes the creation of men is given to the one or more of the heavenly body gods. There are two ways in which the fall is remembered. One is involves a god eating his children, i.e. Kronos, Molech or Saturn. 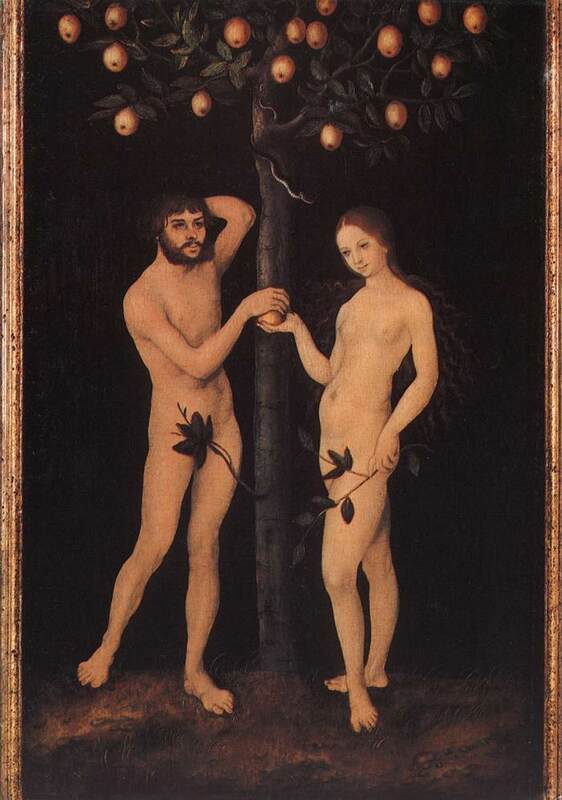 Because, by eating the fruit of The Knowledge of Good and Evil, Adam brought death to all his children. The other is that the snake was a liberator, who gave us knowledge. Then the serpent is punished in some way. Sometimes the serpent is no longer a serpent. As in the Greek story of Prometheus giving man fire and his being tied to the a rock where an eagle came every day to eat his liver. The serpent myths represent the god that tried to prevent them getting the knowledge as bad or evil but the knowledge that man received as good and liberating. Nearly every culture on earth has a flood story. They too can get really far from the truth of Genesis 6-8. They range from a truly large boat, like the Ark in the Bible, down to a raft, catamaran, canoe, and for the Norse, a large piece of bark on a sea of blood. But it remains the most common shared memory of all mankind. 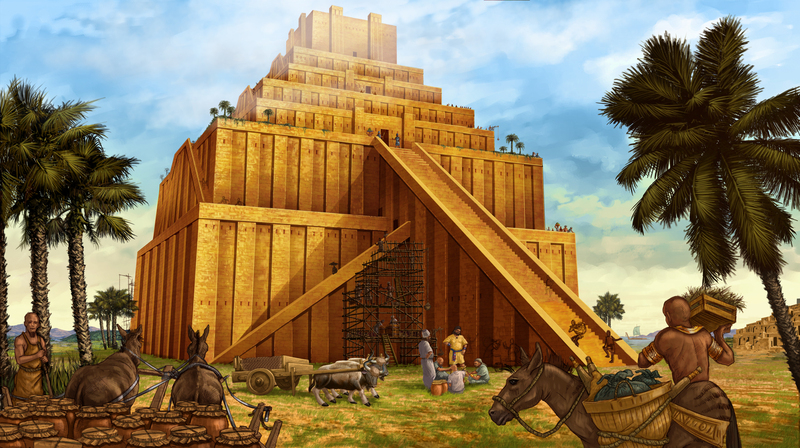 Building the tower of Babel is universally seen as a good thing and is repeated all over the world in pyramidal structures. There is always an element of forced labor or slavery of the people to complete this endeavor. Conformity is the rule and individuality is discouraged. In some myths the tower is reduced to just an idea, as in “the man who lifted the sky” (Hislop’s ‘The Two Babylons’ pg 53 ref to Polynesian mythology). This explains that after the flood men were said to crawl along the ground because the heavens were too close and held them down. A marvelous hero came, who with great struggling lifted the sky, first to the top of a rock, then a tree, then eventually to the tops of the highest mountain. So now men can walk upright. This is what Nimrod was doing. He was using this structure to teach a separation from God. No longer did anyone have to deal with God directly. One only need to let Nimrod do it for you at the top of his tower. Magic, astrology, numerology, augury, etc. all had their beginning here. As a way for people to tell the future without God. The original leader of the great apostasy was Nimrod. He is always styled as a god. Every culture has a different name for him, but the story is always the same. He is always represented as a great hero who hunts the animals that prey on mankind. He is the great liberator who frees the people from an oppressive god. He builds a tower and teaches people the proper way to worship the heavenly bodies. In the earliest versions, 72 judges pronounce him guilty, and he is executed by Sem, which most historians believe is Shem, Noah’s son. His body is dismembered and sent thoughout the land as a warning to stop this apostasy c.f. Judg 19. This becomes the source of most Satan/devil mythology in which Shem’s act of righteous judgment is made out to be a crime. The persecution of the polytheism beginning at the tower is considered a bad thing and wanting people to remain true to the God of the Bible is presented as wrong. After Shem’s act, Paganism was forced to go underground for a short time, starting the first of many secret societies, which is how the mystery religions began. Enter Nimrod’s wife. Her name may have been Semiramis, or that could just be the name of a later queen who got mixed up in the tale. Scholars seem to think her name is an important thing to argue about. She is known for the invention of city walls to provide permanent protection from the animals and barbarians. With the added benefit of being able to control and tax anything moving in or out of the cities. In all the myths the mother goddess begins a great odyssey in the quest for all the pieces of her deceased husband, Nimrod. In many of these tales she turns herself into a bird to accomplish this. This may be because birds do not need males to lay eggs (these eggs however are infertile). Once she has obtained all these parts, she reassembles her husband and manages to impregnate herself with this body. The child of this union is presented as the father reborn. He then goes on to die while defeating a great serpent. He crushes its head while it bites his ankle. This was done to bring a false savior to the world, at a time when all the people remembered the curse on the serpent in the Garden. Frequently the mother goddess is depicted holding an ear of wheat instead of the man-child, to represent this seed of woman, and also making her the goddess of harvest and fertility. This man-child after a time, usually 40 days, resurrects i.e. Lent. His resurrection is usually at spring equinox and is cerebrated with a large fertility festival. Represented with colored eggs and rabbits. All of this is repeated over and over, from culture to culture. There is a common thread, a common worship, and of necessity a common source i.e. Babylon, the valley of Shinar. The root of superstition and apostasy runs deep, and even when the tree is cut down to a stump, the sap is ready to put forth new branches, ever regrowing the deception. It all began in Babylon. That is why it is always the same. It is a common cultural memory to all of us. That is why our father Abraham was told to leave. So you see that it is men of faith who are the sons of Abraham. Gal. 3:7. Now like him, we to must leave all that is Babylon, hunt it down and remove it from our lives, hearts, and our faith. One must know what is Babylon in order to remove it. It is not just a counterfeit, it is a whole system that is opposed to the God of the Bible. How can we determine if we are dealing with a counterfeit Jesus or the real deal? Ask yourselves: is what I’m being taught from the Bible or is it from Babylon? Who is your Treasury Department man, who can explain Nimrod? The counterfeit always has the same characters and characteristics. The hook to get you in is always the same. They claim to have hidden knowledge or truth, that God will not want you or let you have. Knowledge that is specific to you and yours. Knowledge they will share with you for a fee, or only after taking a blood oath to keep the secrets, will they devolve these secrets. ALL HERESY BOASTS OF SPECIAL SPIRITUAL PERCEPTION. They claim they can explain God, His plans, and His purposes. But God is so far beyond our comprehension that it is impossible. No one can understand God. He is not like Zeus, or Odin, or Aphrodite. Those gods are all easily explained. Gods that can be explained can be manipulated. If you know their weakness, their likes and dislikes, they can be bribed. Not so with the living God. All He wants is men after his own heart. That requiress self sacrifice, it is all or nothing. You’re either in or out.